Monroe Martin was born and raised in Philadelphia. One typically wouldn’t find Monroe’s life story laughable. After all, how inappropriate is it to laugh at a foster child who jumped around from one dysfunctional family to another? Watch Monroe perform and you’ll find yourself laughing at his adversity. Monroe’s honest and open approach to joke and storytelling universalizes his experiences. He’s a colorful and imaginative comedian with a lifetime of hard knock experiences that have been spun into sidesplitting jokes and stories. 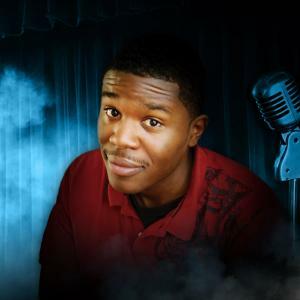 Monroe Martin made his TV debut in 2014 on the 8th season NBC’s Last Comic Standing where he made it to the top 10. He was also featured on the second season of Adam Devine’s House Party on Comedy Central. He made his late night stand-up debut in 2015 performing on The Tonight Show starring Jimmy Fallon. Monroe was featured on 5th season of MTV2’s Guy Code and MTV2’s Joking Off. In 2016 Monroe also guest starred on TRU TV’s Comedy KO, and performed on Big Jay Oakerson’s WYFD on Seeso.com. Monroe made his acting debut in the Netflix hit series Master of None and followed it up with a guest-starring role on The Jim Gaffigan Show on TV land.